I am not sure if this is necessary for you to learn, but we can always take a break from the stress brought by learning too much grammar. I beg… let’s take a break for a while. When we were younger, we had this great deal of fascination with animals, both wild and domesticated… unless you have a phobia, allergy, or something. So we get pets, play with somebody else’s pet, and try to mimic the way they sound. I once saw a video on YouTube about it and it is amazing how animals sound in every country. They don’t even speak but how can they not sound the same? 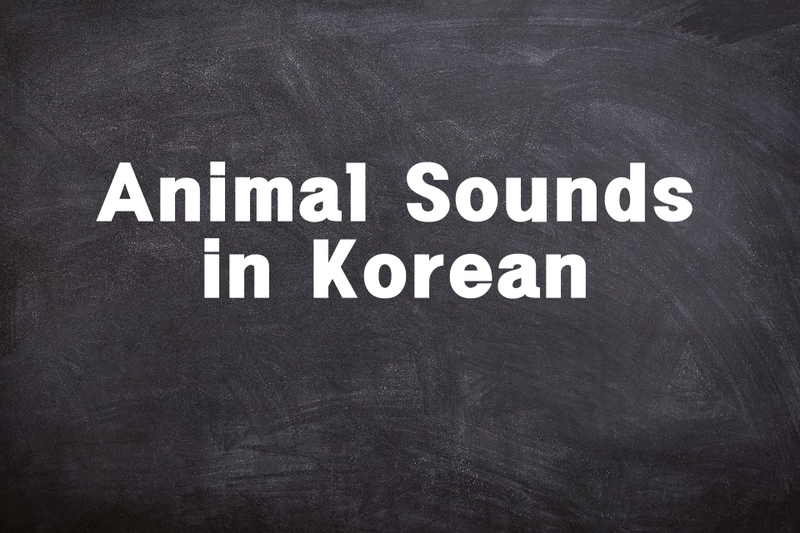 If you wonder how animals sound in Korean, here are some of their counterparts. 1. dog- 멍멍 (mungmung) or 왈왈 (walwal). I guess you almost choke trying to mimic the sounds, didn’t you? They might sound funny or weird to you, but animals will always be adorable. So how do animals sound in your country? Let us know in the comment.